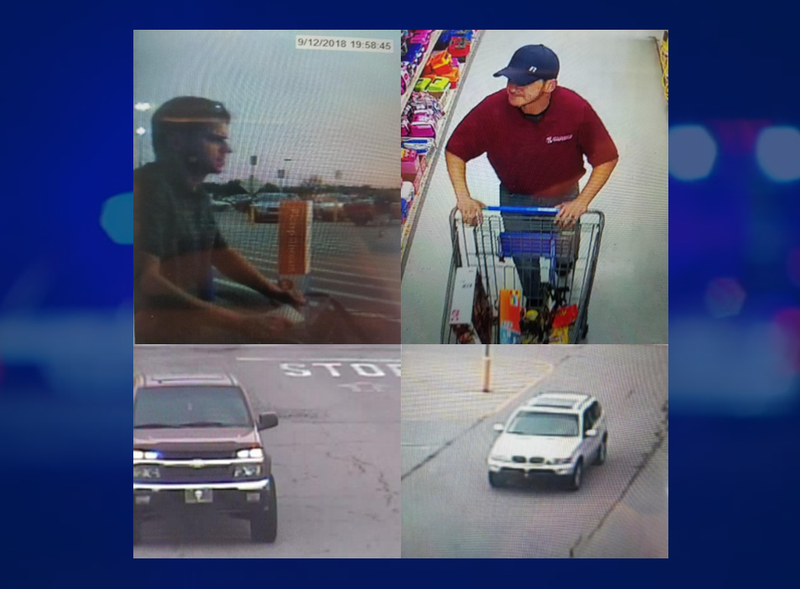 JASPER -- Jasper Police are asking for your help identifying two men associated with two separate theft / forgery investigations, but police believe the two are connected. Police say both men engaged in theft and forgery at the Jasper Walmart on September 12th and October 5th. One man was seen leaving in a silver BMW SUV. The other in an Orange Chevy Colorado Crew Cab with aftermarket wheels and an aluminum tailgate extender. He also has a “Punisher Skull” front vanity plate. Anyone with information about these men should contact Jasper Police.